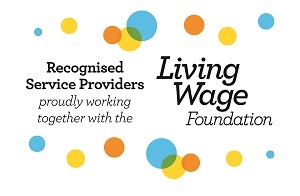 Total Solutions Group, the specialist facilities services provider, has announced that it is a Recognised Service Provider proudly working together with the Living Wage Foundation. The real Living Wage is an hourly rate set independently and updated annually, based on the cost of living in the UK and London. Total Solutions Group has made the commitment to always offer the real Living Wage in all proposals to clients and to paying the real Living Wage to all employees working for their core business.